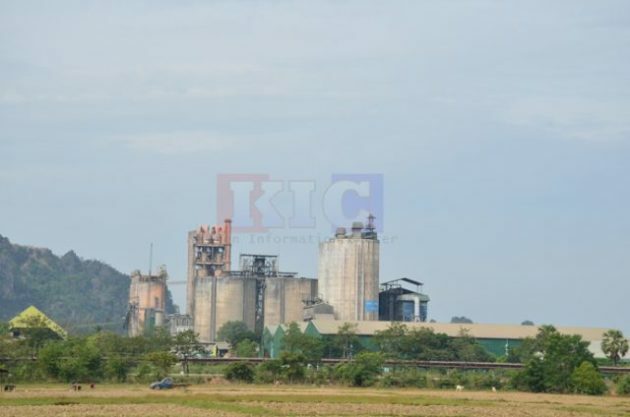 Villagers living near the Myaing Kalay cement factory in Hpa-an, Karen State have asked for operators to stop the storing and transporting of coal used to run the 4,000 ton Myaing Kalay cement factory. Local residents made their request on November 10, following the spilling of coal from trucks while being transported from the port to the cement factory. The operator changed the cement factory to coal-power without the local residents’ consent. Khun Pan Hlaing, a resident of Kyun Taw Kone village spoke to Karen News about the situation they are facing. Khun Pan Hlaing said that they will agree to let the situation continue only if the coal is used in ways that are safe for locals. Villagers said that as the coals were transported from Poe Sho port to the 4,000-ton cement factory and passed through Poe Sho, Ywar Lay, Kyun Taw Kone, and Yay Kyaw villages. When Karen News contacted respective officials of the cement factory for comment regarding this matter, they said they could respond only after reporting to their superiors. In the Myaing Kalay and Hla Kar village tracts of Hpa-an Township, there are two cement factories; one produces 900 tons a day and the other 4,000 tons a day. Myanmar Economic Cooperation MEC established the factories that are owned by the Burma military – the factory has been running for more 20 years. The coals that will be used in the factory have been transported from Poe Sho port to the cement factory since last month and have been transported every day for two weeks before a temporary stop because of objection by local villagers.